Ask a random person on the street in Sweden about bike racing — and they would for sure mention Vätternrundan. 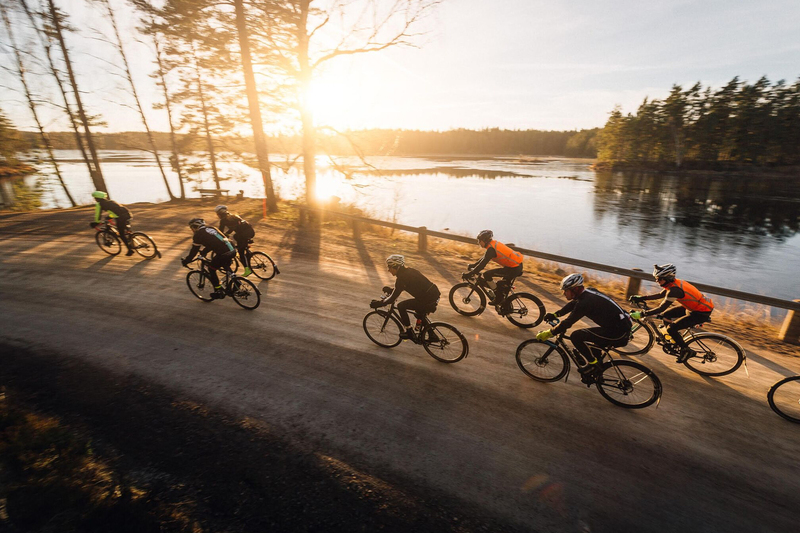 Vätternrundan is the biggest challenge in the Swedish bike racing with over 20 000 people riding 300 km around Sweden's second largest lake — Vättern. But this year the route was different. Since some of the roads during winter were closed we had to take another path which made 330 km. 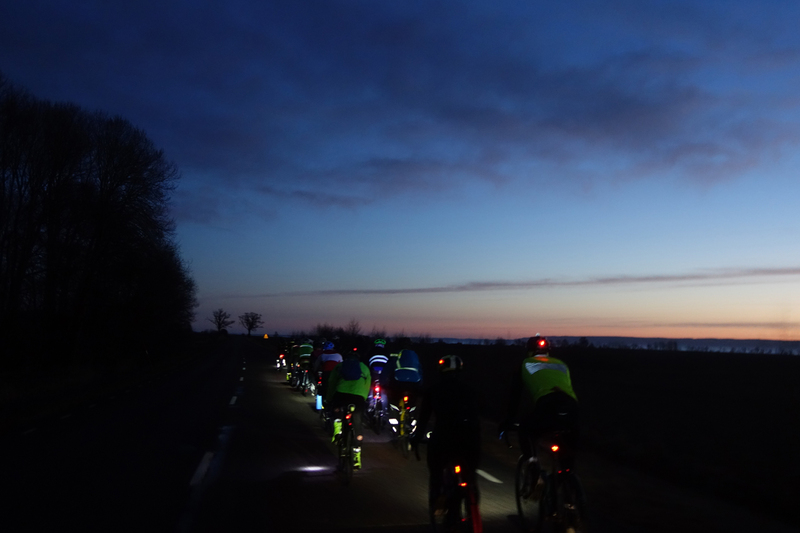 At 04:00 in the morning December 28, we, fifty six bikers, gathered for breakfast at the Vox hotel in Jönköping. I was afraid that the weather would be nasty as it was last year. 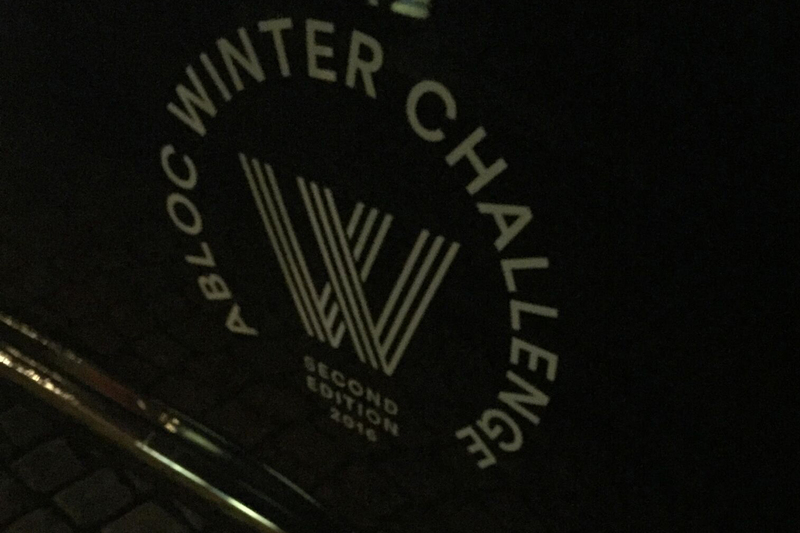 The Winter Challenge in 2015 had the worst possible weather. It took 17.5 hours for the riders to finish the route in a heavy snow blizzard. I hoped this year would be different. As it turned out, there was hardly any wind and the temperature was between -4 and +4 degrees Celsius, which was the best weather we could hope for. When you ride for a long distance, it really helps to break the ride into smaller segments in your mind. The organizers made it easier for me. They planned five stops along the way: two longer ones, and three short coffee breaks. These five breaks were well spread along the route. The longest distance we had to ride without any break was about 80 km. Standing on the starting line, I was thinking about the upcoming long day on the saddle and hoping that the ride would be as comfortable as possible. The clock turned 05:30 and with the sound of a badly tuned trumpet we were off. All I could hear were the studs from my fellow bikers. 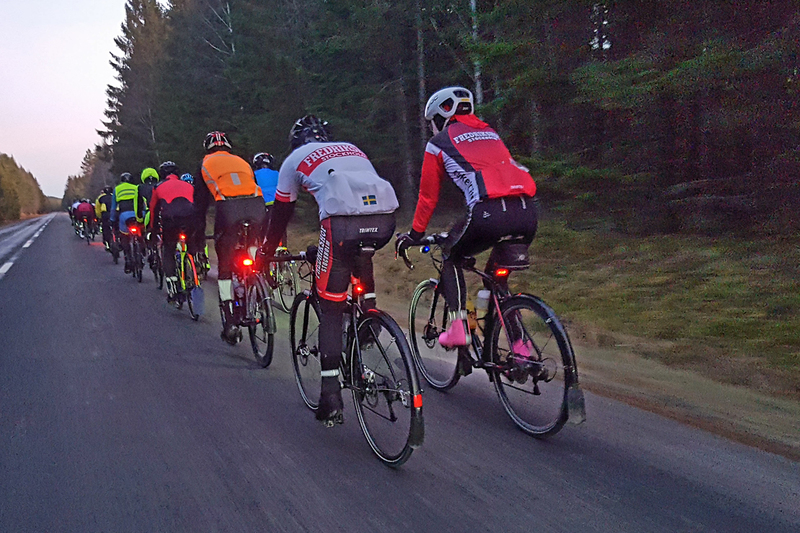 And then it was just me, the rear light from the biker in front of me and 330 km ahead. The first 2.5 hours flew by. When we reached Karlsborg after 96 km of biking it was time for a second breakfast — a good chance to warm hands and feet. Having two service cars gave us the ability to bring a second pair of clothes in the car. So at the stop in Karlsborg I changed into my long sleeve baselayer and jacket. 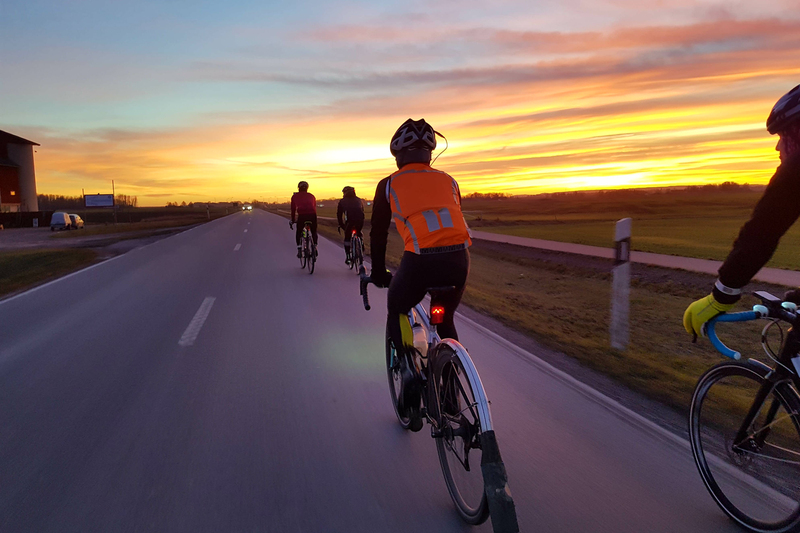 With the stomach filled with Snickers’ bars, waffles and all sort of cakes we started to bike again. Knowing the next stop was 80 km away I started to struggle. The kilometers seemed to pass much slower and the ride felt never-ending. 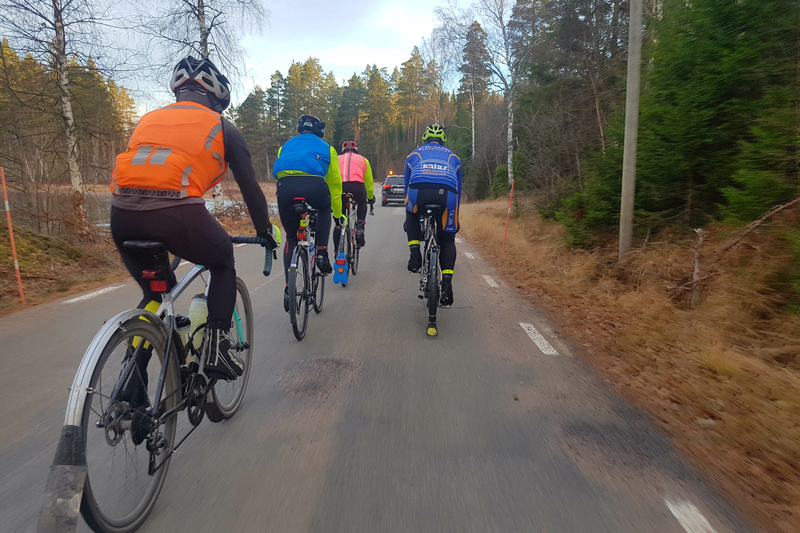 220 km after the start we reached Motala. Now, it was only 15 km until the lunch in Vadstena. The sun started to go down in the west when we arrived at the site where a lunch buffet was waiting for us. The lunch was quick and I managed to get few minutes of power nap on a couch in the lobby. I was almost spent, but my fellow bikers convinced me to carry on. 30 minutes later, we were back on the bikes. 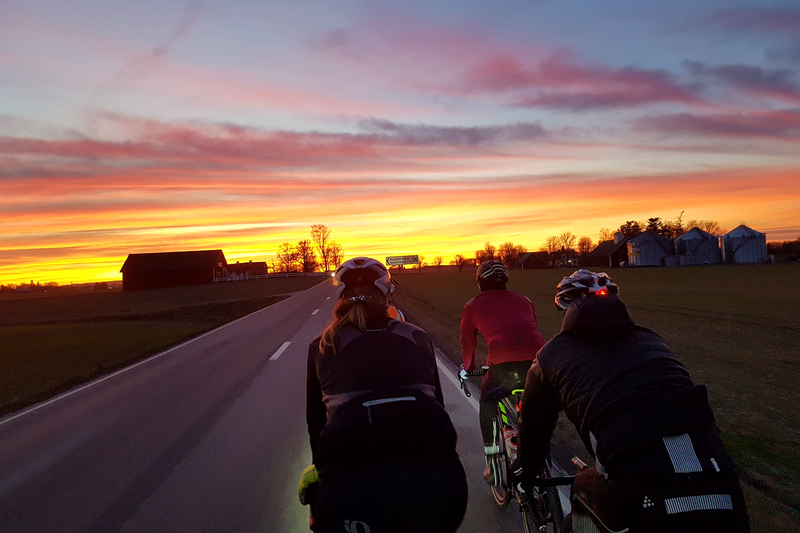 The sunset looked fantastic, but after almost 8 hours of biking it was hard to appreciate it knowing that the last 100km of cycling would be in the darkness. 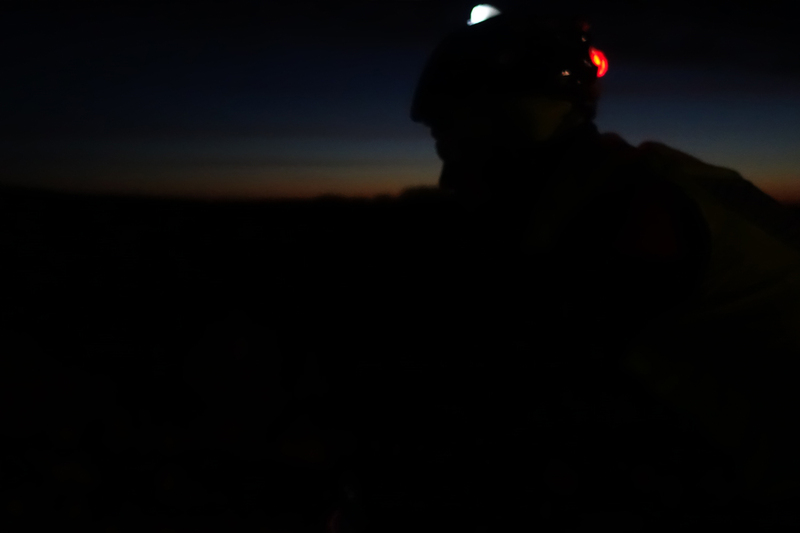 By the time we reached Gränna — the last coffee stop — it was dark and cold. After this stop, me and my two fellow riders decided to slow down the pace on the last 37km. We felt it was a good decision. 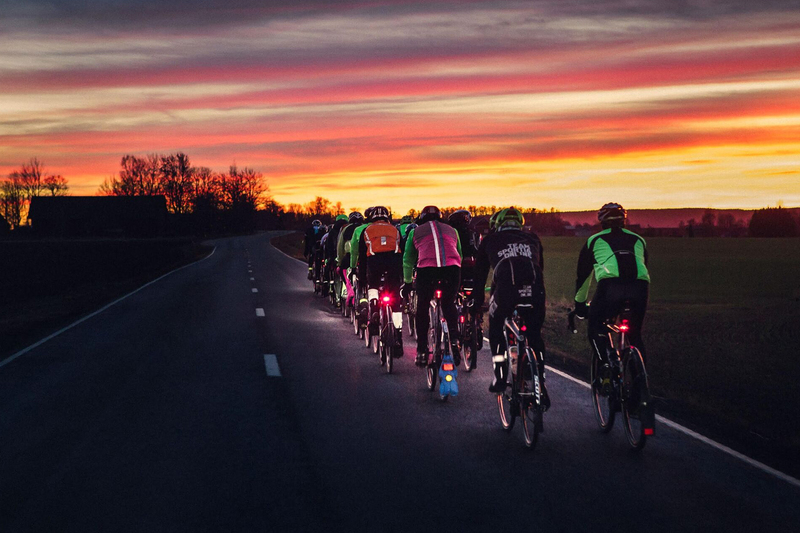 It gave me time to let the ride sink into my mind and the chance to talk to my two fellow riders. Just like an ordinary Sunday ride. 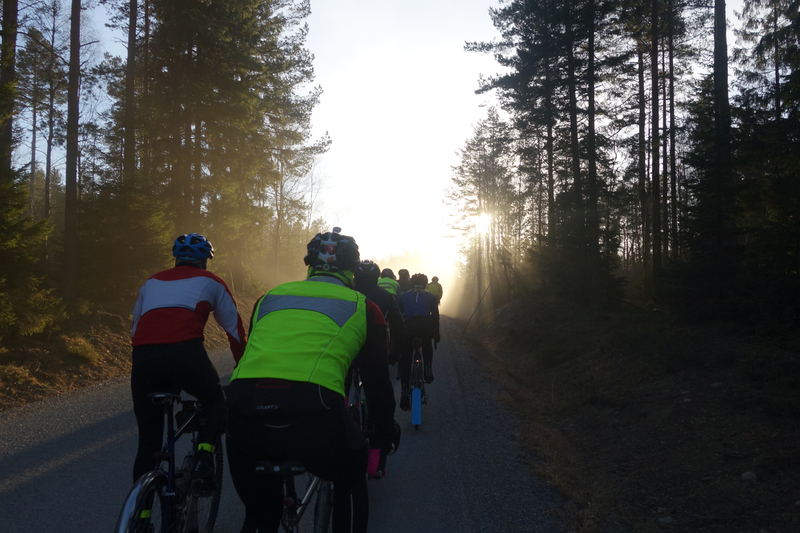 The last 10 km into Jönköping were fantastic. No matter how exhausted you are, you always find that extra energy to finish the race. The first thing I did upon arrival at the Vox hotel was ordering a big glass of beer to celebrate 12:20 hours of biking. I would like to say some words about the organizers, Abloc. Always top class. They didn't miss a single beat. All the stops were well planned and organized; food and drinks were excellent; service cars supported us all the way. All we had to do was to bike, Abloc took care of the rest. This is what I wore during the ride: on top I wore Isadore longsleeve baselayer, Marsala Merino Cycling jacket and Isadore performance neck warmer. When it got warmer I changed to a second pair longsleeve baselayer and Isadore long sleeve shield jersey. On the bottom I wore long winter pants and Isadore merino socks. I would like to say a special thanks to Paul and Johan at Cykelmagneten who with short notice made sure that my bike was working flawlessly. Thanks to Isadore who made sure that I had the clothes that kept me warm and dry. And a big thanks to my fellow riders for a great day we had.